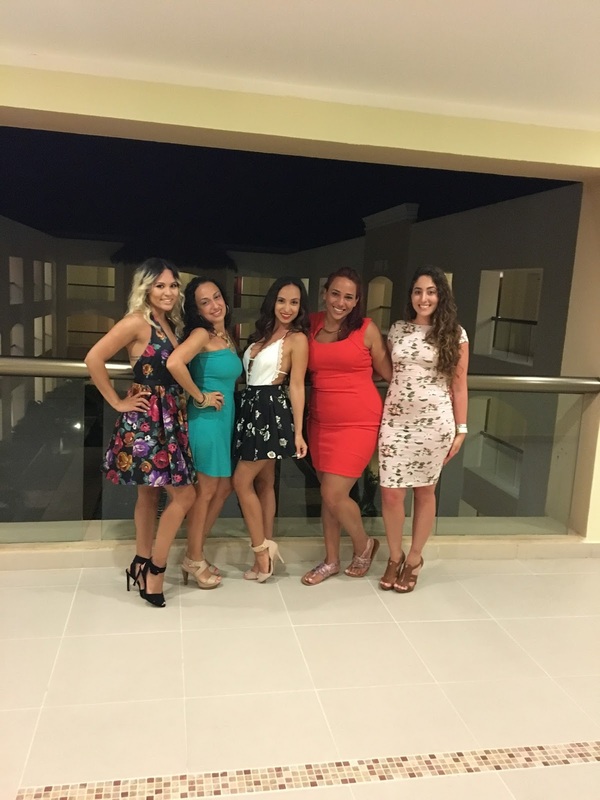 today i'm sharing some pictures from cinco de mayo while in punta cana. we all thought it would be fun to go to the mexican restaurant in the resort and celebrate!! we got all dressed up and had some yummy fajitas and tacos while drinking margaritas. it was so much fun, and of course, delicious. i got this dress a few months back at burlington. as usual, i went in not really looking for anything in particular. i went into the clearance section and saw this dress. i thought it as so pretty but when i saw that it was sam edelman, i immediately thought it was going to cost way too much just to buy for no reason. i looked at the price tag and saw it was only $15.99! i had to try it on immediately!! i knew that dress was coming home with me and i'm so glad! 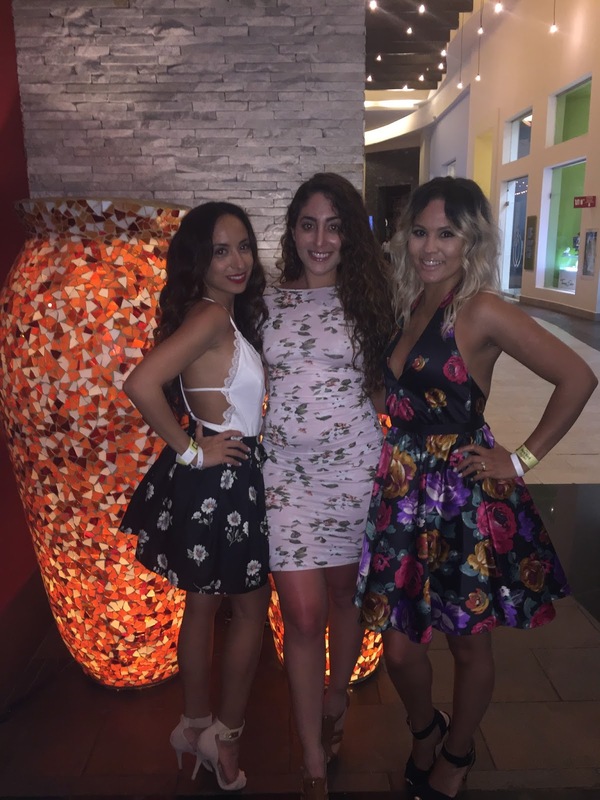 it was the perfect dress to wear for our cinco de mayo outing!!! 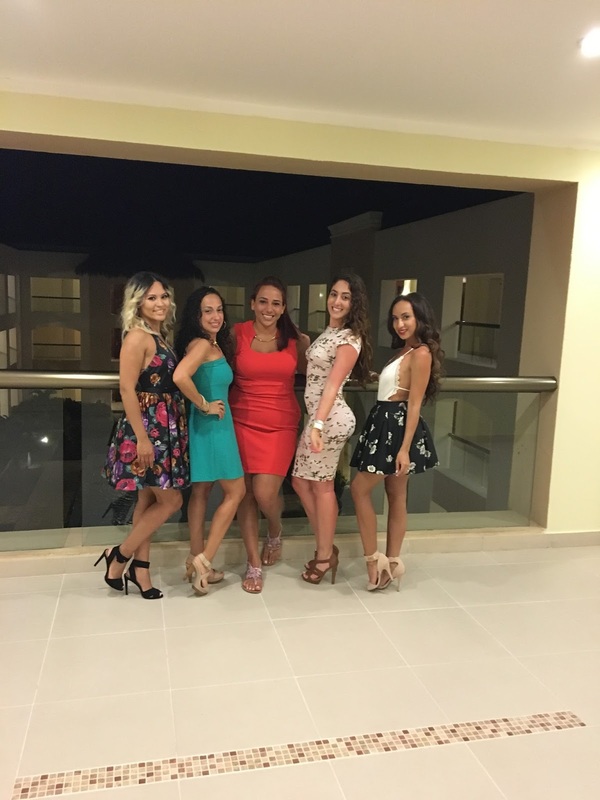 after dinner, a few of us decided to check out the nightclub at the resort called oro nightclub. we had such a great time dancing! the club was really nice and the music was so good. there were even go-go dancers partying it up ;) we only wanted to go for a little while just to check it out but the music kept getting better and better so we didn't want to leave! we kept saying "ok, after this song!" and then another good one would come on. oh, and thank you again, mandina for taking these pictures of me to share on my blog!! and of course, some iphone pictures of the girls.